2.) 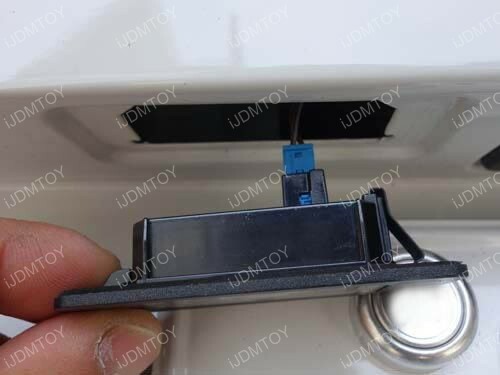 Pull down the stock license plate cover and remove it. 4.) 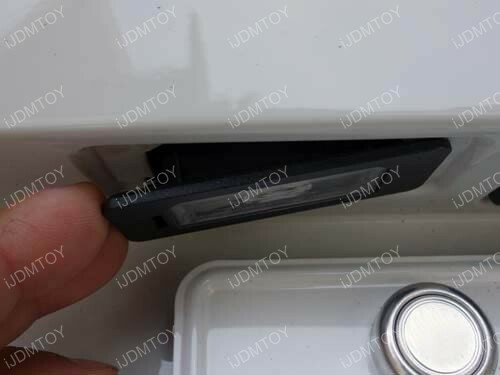 This OEM replacement LED license plate light will fit most newer BMW models with factory equipped 2-LED license plate lamps as well as many older BMW models with the standard incandescent bulbs license plate lamps. 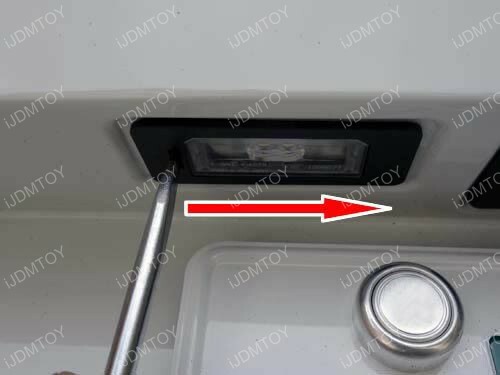 Replace stock license plate lamp with new LED license plate lamp and put it back the opposite way it was removed. 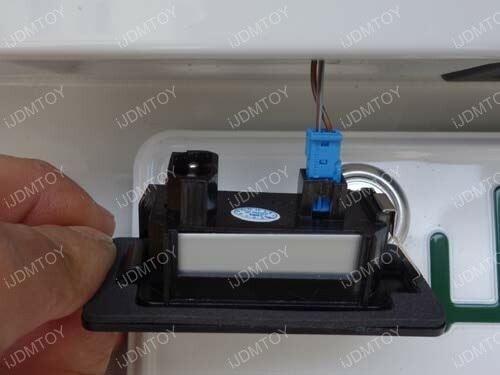 Slide the right side in first, lock the tabs in and push the LED license plate lamp onto the left side of the slot. 5.) Test to see if the new LED light works. 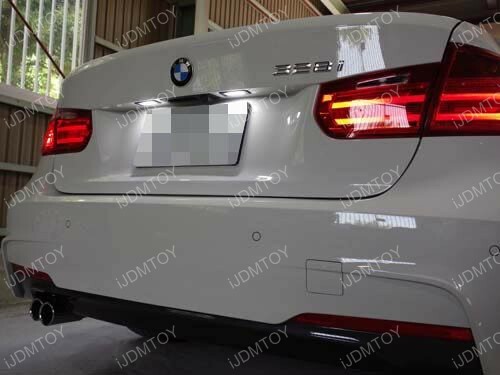 This LED license plate lamp is a great add-on for any BMW because it’s not extremely flashy but will still give your BMW that clean LED look. 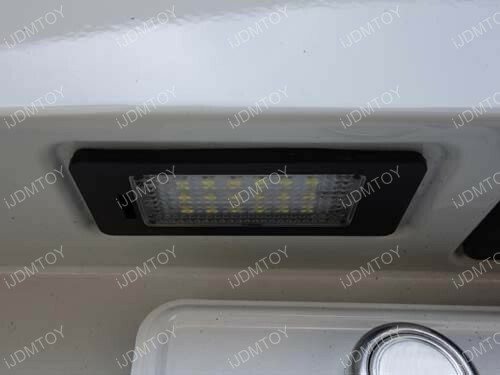 Enjoy your new LED license plate lamp. This entry was posted in - Tech Support & DIY Guide, BMW and tagged BMW, car parts, cars, JDM. 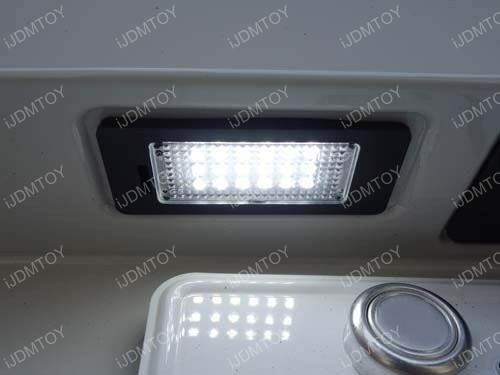 iJDMTOY, LED, led lights, License Plate, license plate lights by Shari. Bookmark the permalink.